Subject: Plate : 'Paysage des Andes, vue prise au Pont de Chaupichaca.' 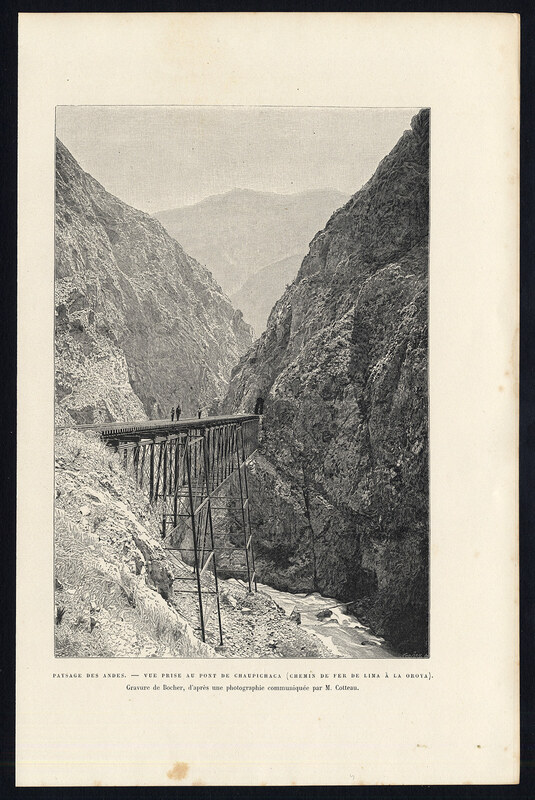 (The Andes, view of Chaupichaca railway bridge in Peru). Artists and Engravers: Jacques Elisee Reclus was a renowned French geographer, writer and anarchist. He produced his 19-volume masterwork La Nouvelle Geographie universelle, la terre et les hommes ('Universal Geography'), over a period of nearly 20 years (1875 ï¿½ 1894). This plate by Bocher.